Miko is a 20-year-old girl. She is pure, but prone to make mistakes. Since her father, who was a composer, died, she stayed at an orphanage with her twin brother Mio Sakuraba. Now she is at a convent dreaming of becoming a nun. But, one day, a strange man named Mabuchi asks her to join a famous band called A*N*Jell, due to her brother being out of the country. Once she agrees, something bigger than a love triangle starts to evolve, along with other people intertwined to this story. 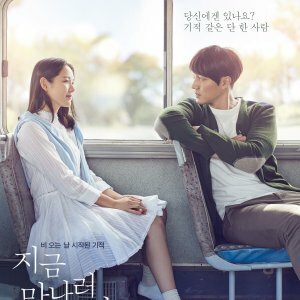 This is a lovely drama. I would very much like to review it in its own right, i.e. without comparing it to the original Korean version, but I found out it's impossible for more than one reason. First, because the majority of those who loved You're Beautiful were biased towards this remake from the look of the actors alone and didn't even give it a chance; second, because ironically my having watched the original made me appreciate this version a lot more. Therefore, I'll set my usual policy aside and write a comparative review. 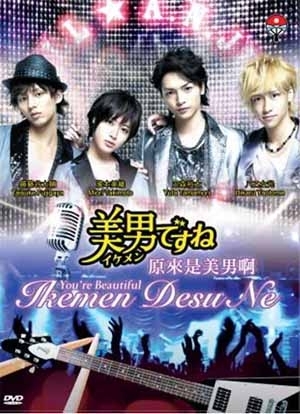 I liked Ikemen Desu Ne more than You're Beautiful in many respects. Despite having kept the plot almost untouched, the Japanese made some subtle changes to this drama which results in a completely different feel to it. 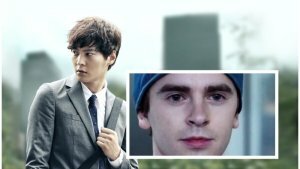 This version has a younger look; although the Korean actors were in the same age range as the Japanese when You're Beautiful aired, the first looked somehow older. The aftereffect is that while Ikemen feels like kids playing kids, You're Beautiful is about adults being childish. Because the Japanese remake lasts half the time as the Korean, they had to condense the original story and cut a good number of scenes. As it seems, they decided on cutting mostly on comedic scenes and secondary characters. I have missed some truly hilarious parts of the original, but at the same time I'm happy they skipped some and didn't linger on aunts, fans, managers and the like. But what really made it for me is the female lead character. Mio is a sweet, generous girl out of her element, dealing with her firsts: first experience on stage, first friendship, first love. While in the beginning she unwittingly makes mistakes, she shows strength of will and some pride, which makes it easy to connect with her. Go Mi Nam was a Ã¼ber-humble klutz in the beginning and remained such till the very end, a trait which I personally found irritating to say the least. The fact that the biggest part of the comedy in YaB derived from Go Mi Nam's nth mishap made me very happy the Japanese decided to show a girl a little less frustrating and hen-pecked. This leads me to the male lead. The difference is quite notable too. Ren starts as haughty and impatient, but shows his true colours very soon. He's a softie. The tormented relationship with his mother is stressed upon in this version, so that his yearning for affection and eventually falling for Mio comes out as very natural. Tae Kyung, on the other hand, is an arrogant young man who learns to think about others too. But we have to wait until the very last to see his transformation and even then he can't do without a couple of bravados or two. This is why I loved Mio & Ren as a couple, while I barely tolerated Mi Nam and Tae Kyung. The other "angels" grew on me. They may not be as good-looking as the Korean, but I believe they played their roles well and I refuse to start a debate on the most undebatable issue on earth: taste. As a group, the Japanese A.N.Jell look more like friends than their Korean counterparts. The relationship between Ren and Shu (Tae Kyung and Shin Woo in YaB) is better explored in IDN and I truly liked to watch them fight for the love of Mio. I have a hard time rating the music. Some songs are the same as in the original, but in Japanese. I didn't care much for them and I think the Korean sang and executed them much better. On the other hand, I truly loved the instrumental music played in between songs. The piano piece is lovely, and used in just the right scenes. This review has been long enough. I felt the need to write it because I think it's unfair to judge it without watching it to the end and I always get fired up when I read commentaries like "they are ugly" or "they can't compare". If you think you're an unbiased watcher and you like young dramas, give Ikemen Desu Ne a try. You may end up liking it more than expected. Alrighty! So I absolutely love the original Korean drama, but I also absolutely loved Ikemen Desu Ne as well. 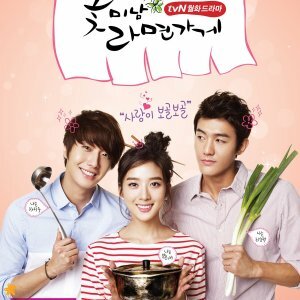 I just completed this drama, when I first started it I attempted to do so immediately after watching You're Beautiful. That just didn't work, but after a hearty 6 months in between I can truly appreciate the loveliness of it. 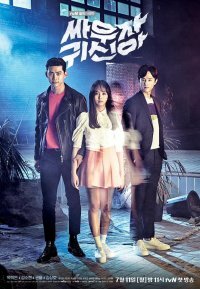 They changed enough of the story to keep one interested plus it is much shorter than the Kdrama. This is fantastic because it is painful to watch angst filled episodes when one already knows the outcome (well for me atleast :P ). I really liked how they fleshed out some of the side characters a bit more like Mio's aunt and the director of the company. I also think Shu's character had a bit more depth here. The only character I really wish there was more development in was Yuuki. Perhaps this was a good thing though as one's heart is not wrenched out here as it is in the kdrama. Acting and Music wise it was extremely well done. A lot of the same songs were present but altered. The actors all did a wonderful job. The gal acting as Mio was just wonderful and brought a sweet spirit to her without coming across as a ditz. If you've seen You're Beautiful, give this a shot. It is a Japanese drama through and through, don't look for something exactly like the Korean one, it is fun because it is different. 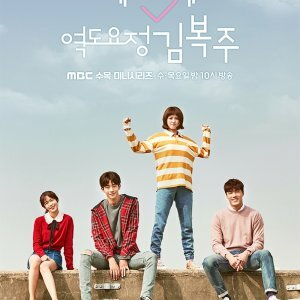 I don't think one can say this one is better or truly worse than You're Beautiful because Kdramas and Jdramas have such different themes and stylings. 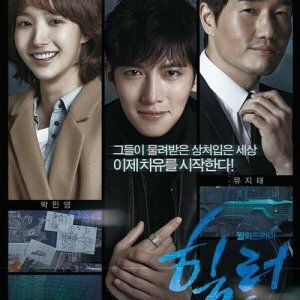 Anyway lovely drama, hope some folks give it a shot!